This is a fun activity to do on the beach which doesn't cost anything. 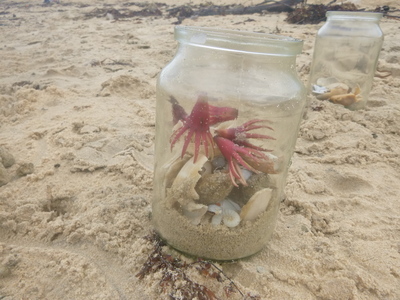 Children will enjoy collecting and sorting beach treasures and arranging them into layers in their jar. Spend some time exploring colours, shapes and textures of the natural materials. 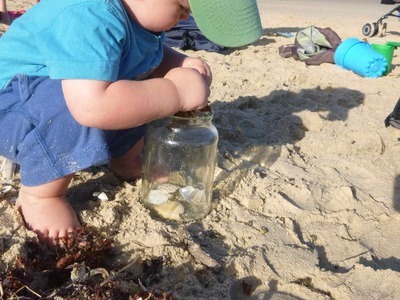 Spend time exploring the beach and gathering natural materials such as shells, seed pods, stones, seaweed etc in a bucket. 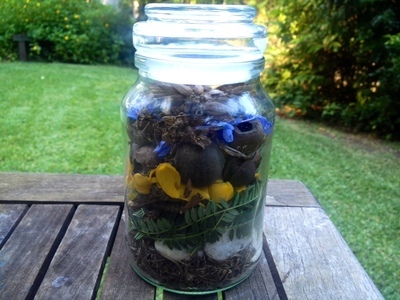 You could also try this on a forest walk, gathering leaves, twigs, cones, nuts etc. What did you put in your jar? 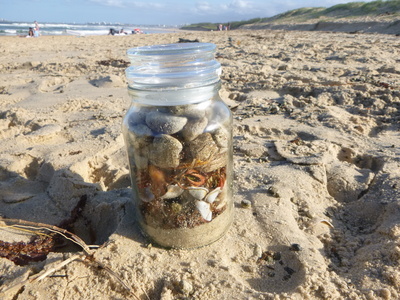 Please share a picture of your Layered Treasure Jar by uploading a photo via the comments section.